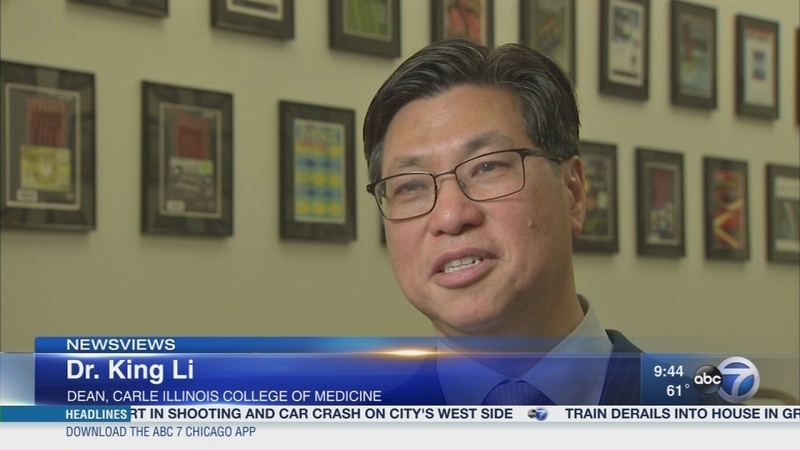 CHICAGO (WLS) -- On Newsviews this week, a pioneering doctor who will serve as the first dean of the new medical school at the University of Illinois' main campus, Dr. King Li, and Bernie Wong, a woman who helped create the Chinese American Service League. We'll talk about their work and its impact as we celebrate Asian Pacific American Heritage Month. For more information about the Chinese American Service League and the upcoming gala, visit www.caslservice.org. On Newsviews this week, a pioneering doctor and a woman who helped create the Chinese American Service League.